The hero of Robert Howard’s pulp adventure books seemed unlikely for the Mego treatment but Marvel editor Roy Thomas translated Conan into a comic superstar in the seventies. 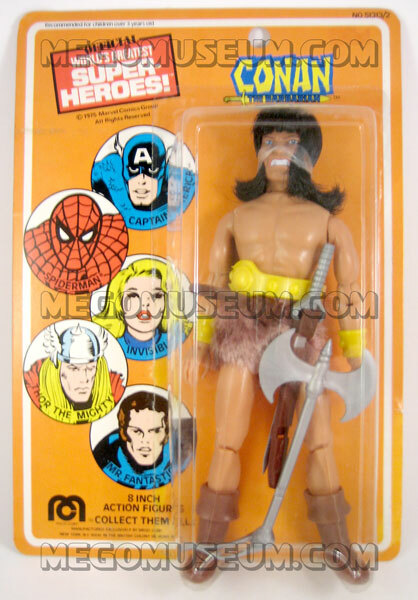 Despite not being a Superhero (actually he was more an anti-hero) Conan made his debut in the Mego 1976 WGSH lineup, alongside Thor and the Fantastic Four. The figure, much like a lot of Mego’s mid-seventies output, is a work of art. 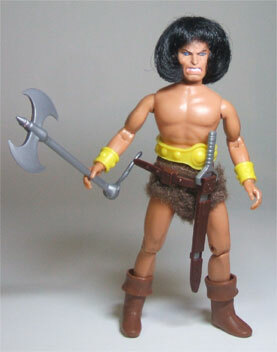 Conan not only has a great angry head sculpt but he’s loaded with accessories. 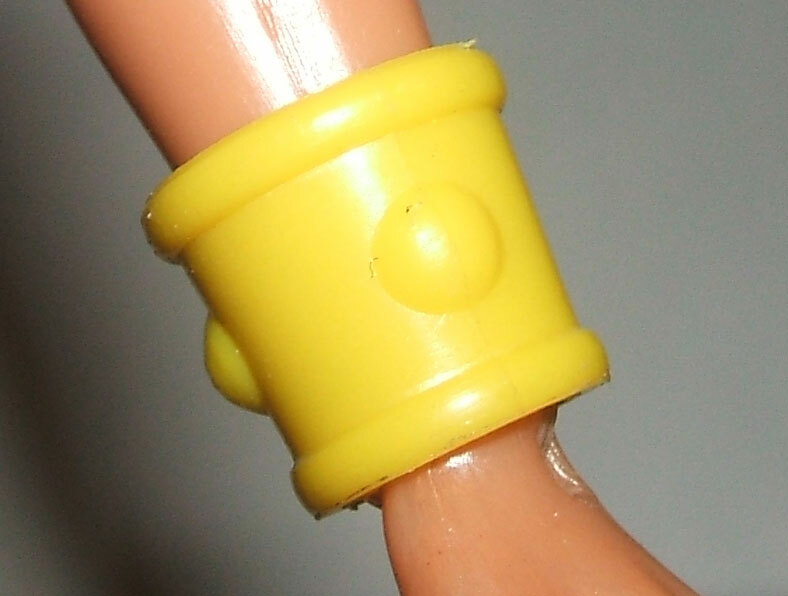 The figure came with golden bracelets, boots, a belt with sheath, sword, battle Axe and a gold belt. Late issue Conan’s tend to have longer hair and the shorts are a yellowish fur. The standard Conan window box features the artwork of Barry Windsor Smith. 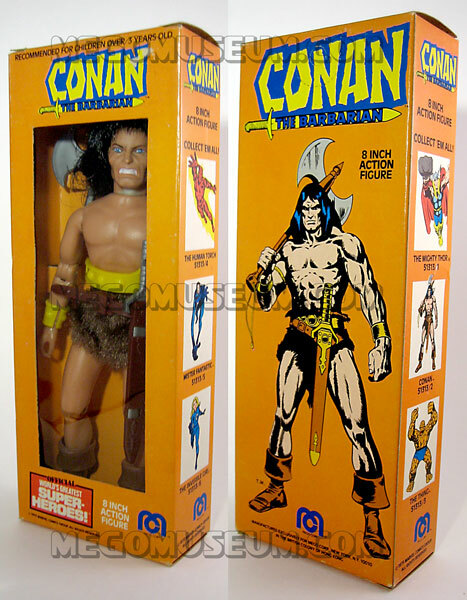 The box is the least expensive way to find a packaged Conan. 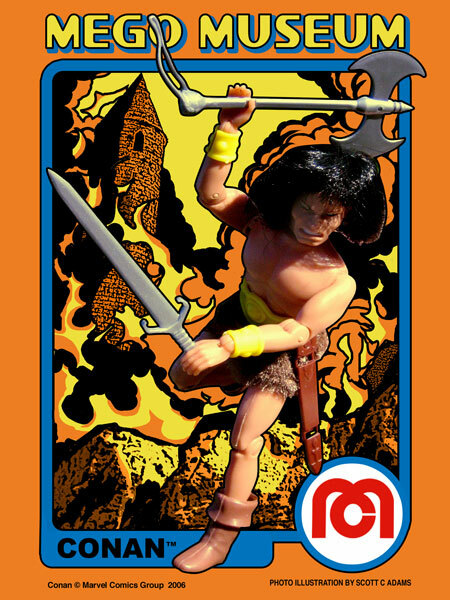 Conan on the 1979 Card is more difficult to find. As can be seen the figure has a variation in hair and the material used to make his shorts. 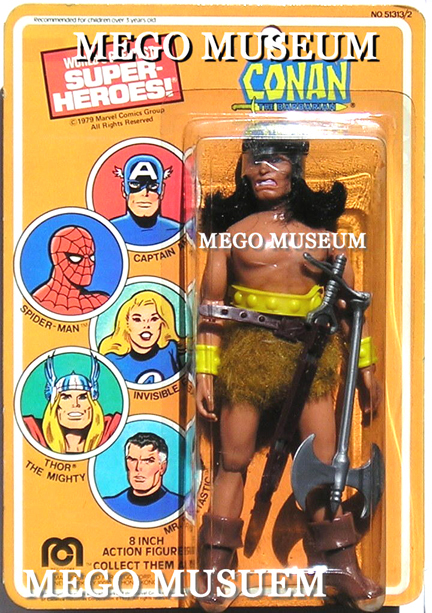 (courtesy of Tom) Despite his presence in the Mego WGSH line for a few years, Conan never appeared in any other Mego Superhero toy lines. 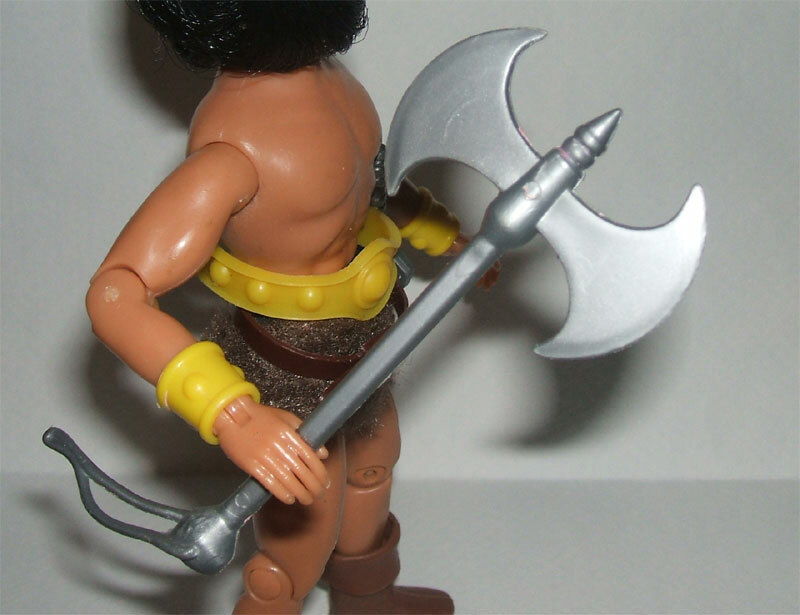 Conan’s axe has not been factory reproduced. There are hand casted versions that have been made. Look for airbubbles and flashing, brittle plastics or hard resins when identifying these handmade reproductions. Conan’s guantlets have not been factory reproduced. There are hand casted versions that have been made. Look for airbubbles and flashing, brittle plastics or hard resins when identifying these handmade reproductions. Conan’s sword has not been factory reproduced. There are hand casted versions that have been made. Look for airbubbles and flashing, brittle plastics or hard resins when identifying these handmade reproductions. Conan’s scabbard has be reproduced by Doctor Mego. 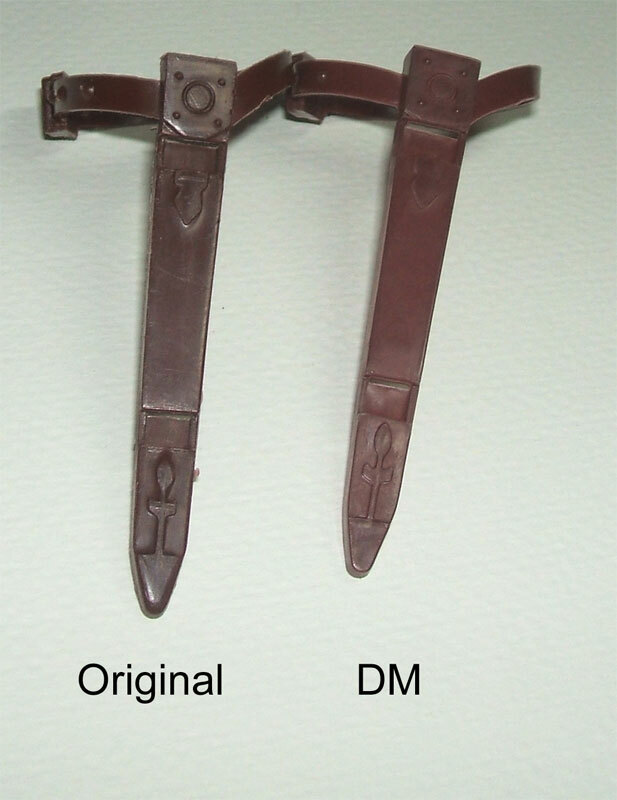 The only real difference is it is slightly lighter in color. It is stamped DM on the back side of the scabbard. 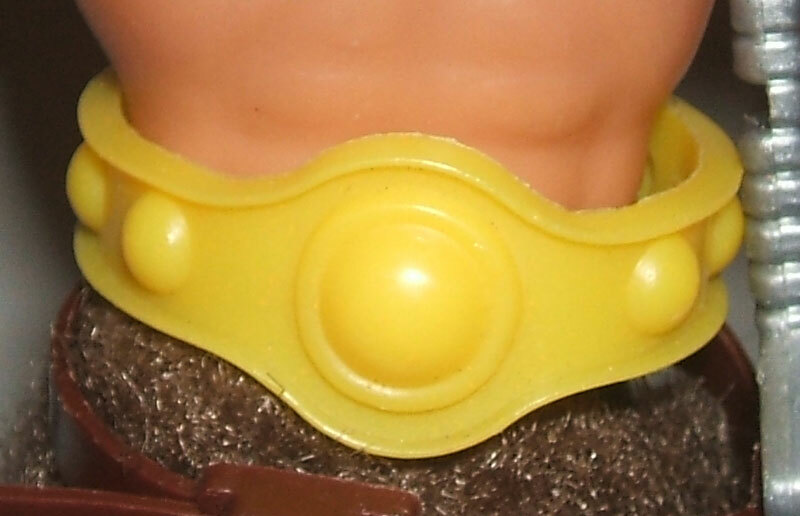 Conan’s belt has not been factory reproduced. There are hand casted versions that have been made. Look for airbubbles and flashing, brittle plastics or hard resins when identifying these handmade reproductions. 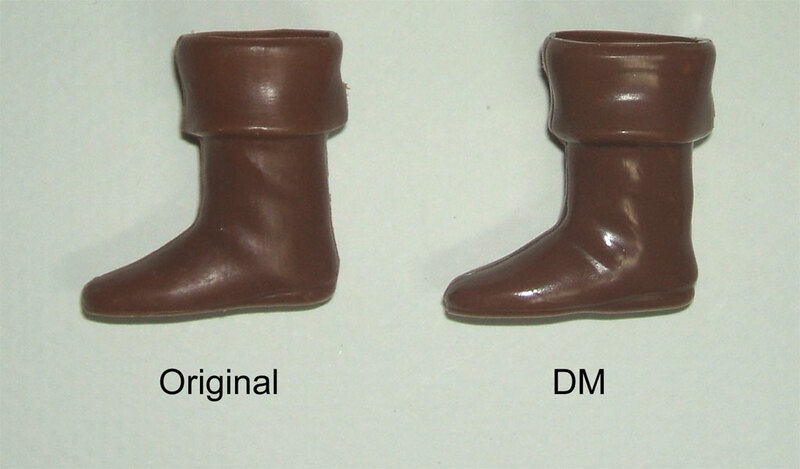 Doc Mego has made some very accurate Conan boots. They are a little more glossy than originals and a touch thicker in material, but otherwise very hard to spot. They are marked DM on the bottom.